Faculty led discussions continue as professors seek to shrink course load and incorporate more research and scholarship. At DePauw University, professors currently teach six courses a year which constitutes as a 3:3 course load. Although DePauw is a small liberal arts school where teaching is an important component of students' success, many professors at DePauw still value their scholarship and desire to continue their research and development post doctorate. Professor Jeff Kenney, Faculty Development Coordinator, thinks scholarship is a key component to a successful academic experience for students and professors. Kenney is not the only professor that has participated in conversations about the faculty course load. According to Kenney this discussion has been ongoing for the last five or six years, before Larry Stimpert was named Vice President of Academic Affairs. “A few times you hear [the] administration and President Casey take it on and think it is something viable, but then nothing becomes concrete,” said Kenney. Several other professors as well as President Casey and Stimpert have been a part of these ongoing conversations. 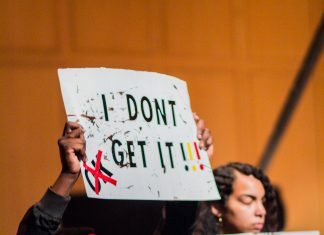 Last summer during a Faculty Development Committee meeting, the faculty was upset after Stimpert announced changes in the faculty development funding. With DePauw’s current 3:3 course load, professors find it difficult to devote enough time to their research or other scholarship pursuits. Kenney argues that with a 3:2 course load more time could be spent with students outside of the classroom, participating in research. “The whole point of Liberal Arts education is to merit interaction with faculty involved in their students academically,” said Kenney. “Once the semester starts with grading feedback with a 3:3 course load, weekends are spend grading and it is difficult to keep up with our research,” said Kenney. President Casey agrees and thinks the quality of student to faculty interaction is heightened. “I think when a faculty member has only two classes to teach they’re capacity to engage with students goes up,” said Casey. The meeting dismissed the old Faculty Development Fund and model and changed how professors would receive funding for conferences and research oriented trips. With expressed concerns and pushback from faculty, the Faculty Development Funding program returned to its original model. DePauw professors currently teach a 3:3 course load instead of a 3:2 course load that several other liberal arts colleges and universities implement. Other competing Liberal Arts universities and colleges, including Grinnell College and Denison College, have a 3:2 course load which grants more time to professors to conduct research and devote to scholarship. “We do have to be concerned about how competitive we are for brand new faculty that we hire,” said Stimpert. 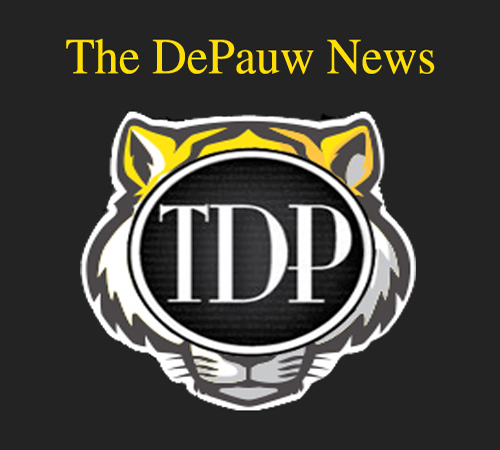 Due to lighter course loads at other universities, DePauw has a difficult time competing with other universities when recruiting faculty. If the university takes steps to adopt a 3:2 course load, where professors would only teach 5 classes a year, many things would have to be taken into consideration. This would include class sizes shifting, raising tenure standards, professors teaching more students and DePauw would have to consider hiring more professors. Numbers would shift and Casey argues that 15 new faculty would need to be hired and classes could grow to numbers of 65-70 students.